Migration and mobility have always been part of societies, long before our modern notion of globalisation developed. Alongside this constant dynamic, a sense of ‘home’ and identification with the tangible and intangible characteristics of this specific place always played a major role in cultural self-reassurance. Especially the German concept of ‘Heimat’ was defined by regional, even national identity, closely linked to tradition, heritage and a sense of belonging that mostly excluded foreigners. 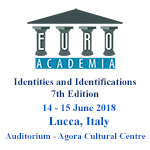 Now that significant international and domestic migration puts this rooted form of collective identity to the test, how do city museums, nucleuses of public memory discourse and therefore powerful memory institutions, meet the challenge of providing identification points to visitors with diverse backgrounds? Based upon the assumption that identity is not ready-made, but rather the outcome of a dialogical, participative process, I regard city museums as burning glasses of urban identity, as materialized belonging within social, physical and historical structures. How does the interaction between (non-) local visitors and the city museum as a retainer of heterogenic regional memory produce collective, and therefore also individual identity? My approach to this issue leads me to the concept of mental maps used to describe regional identity and the question whether it is tantamount with what we call ‘home’. The Actor Network Theory (ANT) provides access to examining the complex interlacing of individuals, artefacts and institutions relevant to answering the question how city museums help create identity and a sense of belonging within a diverse, rapidly changing society, where the need of belongingness never lost any of its importance.